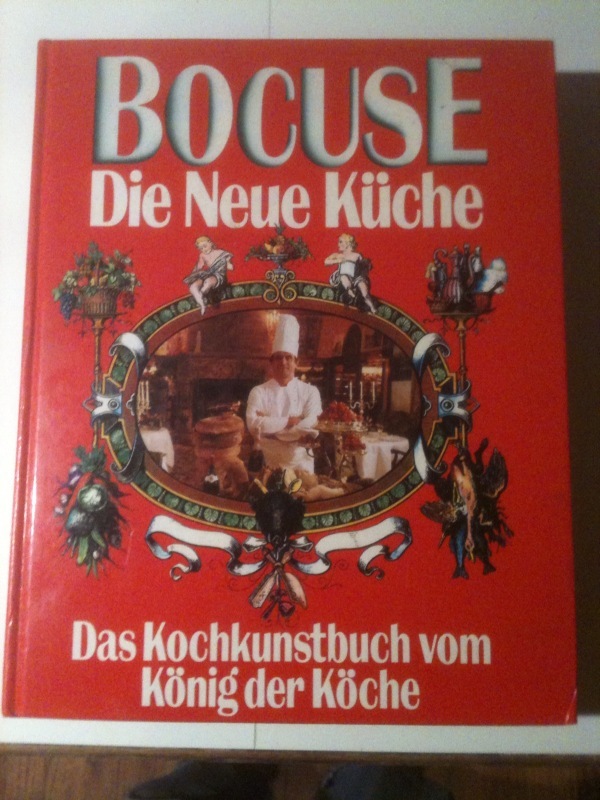 by Paul Bocuse, Econ Verlag GmbH, 1977. First German publication of the author's first cookbook, the 1976 classic La Cuisine du Marché. Very hard to find in the U.S. Thick hardback, slick red covers with color photo of the author, no DJ (as issued? ), 492 pages plus sample menus. Color presentation photos throughout. The hundreds of recipes includes his now-famous Soupe aux Truffles Elysee, created for a presidential dinner in 1975 alongside other nouvelle cuisine masters Pierre and Jean Troisgros, Michael Guerard and Roger Verge. Bocuse died in January of 2018 at age 91. Check out his website and his most famous restaurant, L'Auberge du Pont de Collonges near Lyon. 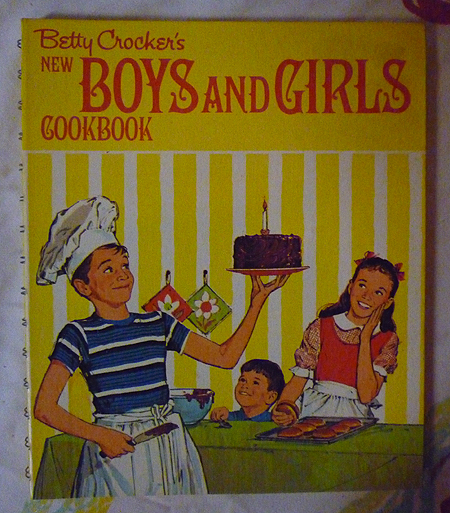 Condition: Hardly any wear to cover; two tiny stains on closed book block; a few back pages creased. Still VG+.